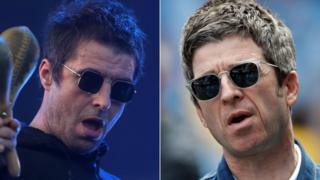 Liam Gallagher has raised the prospect of re-forming Oasis in a tweet aimed at his brother and former bandmate, Noel. Using strong language, the singer said he forgave his sibling and it was the time to "get the Big O back together". Hopeful fans may however be disappointed, as Noel Gallagher told the BBC in November that he would never play with his old band again. Oasis split in 2009 after a row which began with Liam throwing a plum at his brother's head. Liam appeared on Thursday to be keen to get the group back together, although he made it clear on Twitter that he wasn't "desperate" but just thought "it'd be a nice thing to do". However, on Friday he tweeted: "I'll take that as a no then," suggesting he had not had a response from his brother. Liam Gallagher has had chart success with his recent solo album while Noel is currently touring with his band Noel Gallagher's High Flying Birds. 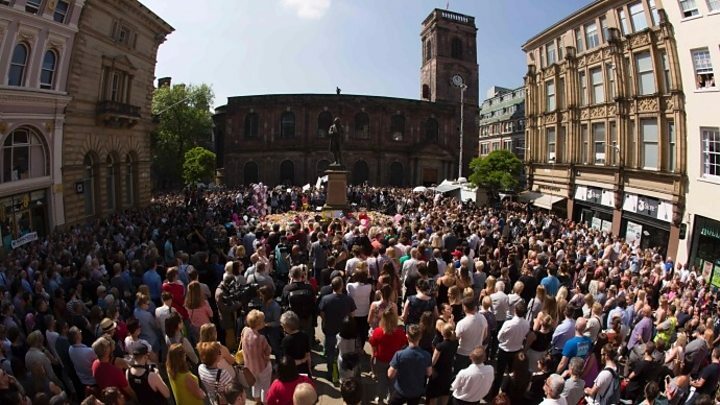 When working together, the pair wrote and performed hits including Wonderwall and Don't Look Back in Anger - which became a unifying song in the aftermath of the 2017 Manchester Arena bombing. A crowd spontaneously started singing the song at a memorial event for the victims and Noel performed it when the arena reopened in September.